To me, this photograph represents patience. 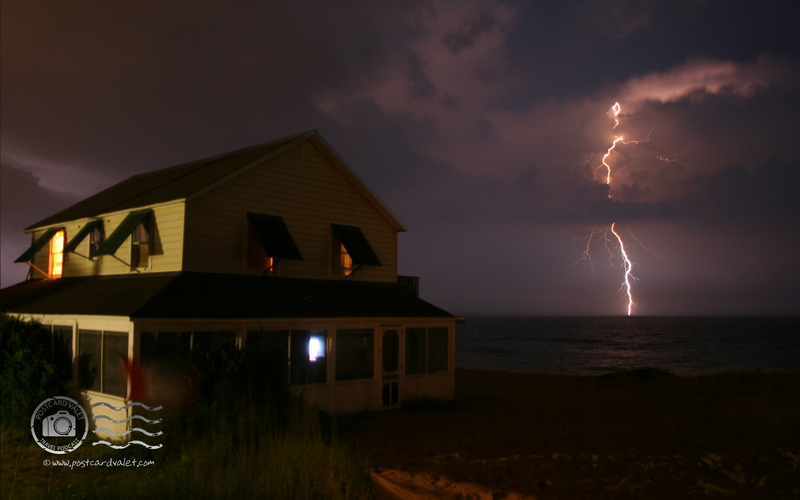 As a thunderstorm brewed around us on the beach in Nags Head, NC, I sat on the porch and snapped photo after photo, trying to capture a bolt of lightning. I took seventy photos in all, each one exposed for 30-seconds. This was lucky number 57. I didn’t have a tripod (I used the railing on the porch), and the strong gusts of wind meant that I had to hold the camera down with my hand. 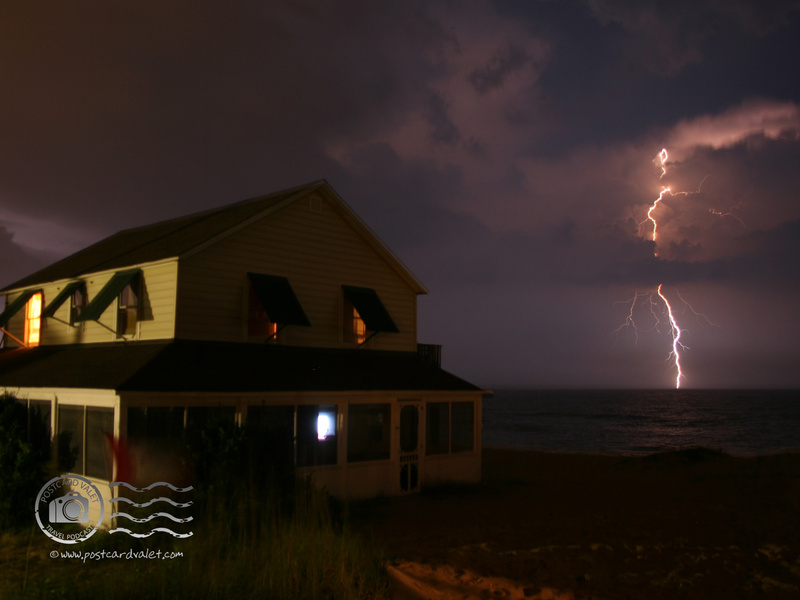 That, or the multiple flashes of lightning, must have been what caused some strange blurry artifacts along the right-hand edge of the house. They were easy to Photoshop away, though, plus it gave me an excuse to remove some telephone lines on the left and level the horizon while I was at it. Just for fun, two more variations can be seen after the jump.